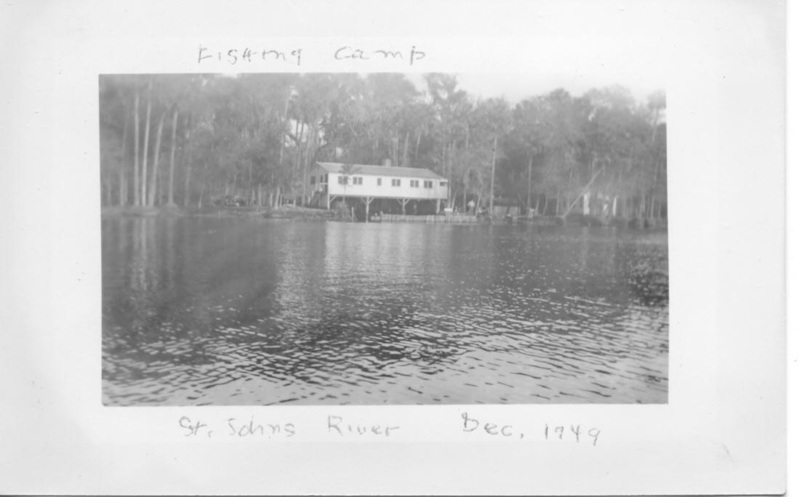 Fish Camps - Saint Johns River Historical Society, Inc.
Much of the History of the St. Johns is the Bait Stores and marina's along the river. The Fish Camps have played an important role in the sustaining the area for years before the depression. 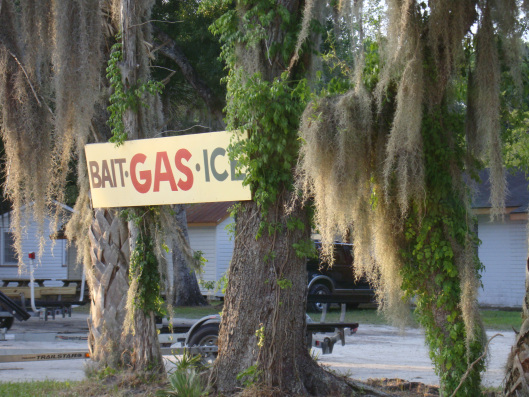 BAIT-GAS-ICE: IT’S FISH CAMP FRIDAY! Sometimes we find ourselves attracted to things so out of character that we become helpless in their face and can do no more than to follow them like beacons. This accounts for many seemingly inexplicable romantic pairings, the purchasing of ugly shoes, and the collecting of navel lint or airline vomit bags. In my case, I am hopelessly drawn to fish camps. 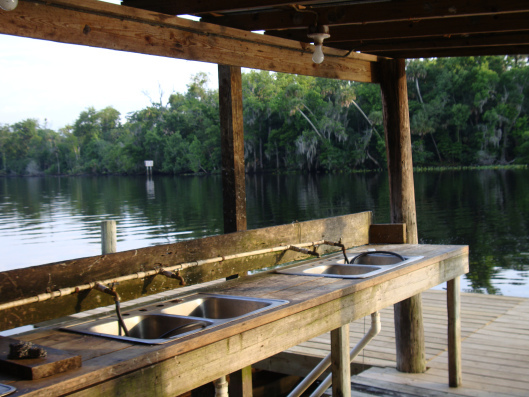 I’d never heard of fish camps until moving to the South and suddenly I found myself turning down any road that advertised one, the way I used to turn down any road that offered white-peach Bellinis. 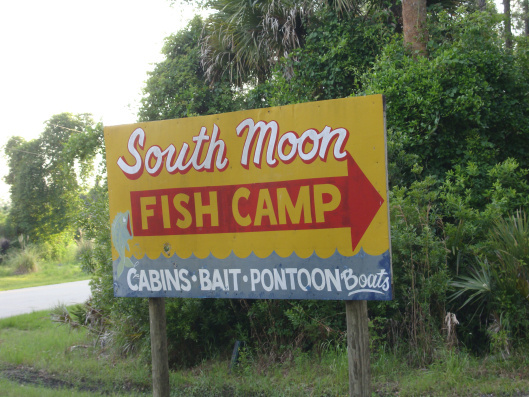 My first fish camp was Kate’s in Gainesville, and since that time I have blindly followed their signs, probably hoping to run into the type of characters and tales that might result in a creative non-fiction story. In one case, I followed a fish camp sign down by Orange Lake that led Mr. B. and me into what suddenly seemed like a sketchy situation. I may have to leave this type of camp to my friend Jack Riepe, simply because Jack of all people would relish the gaminess and know how to cope with the local color better than I would, especially if the local color was fishing in secrecy and without proper permit. 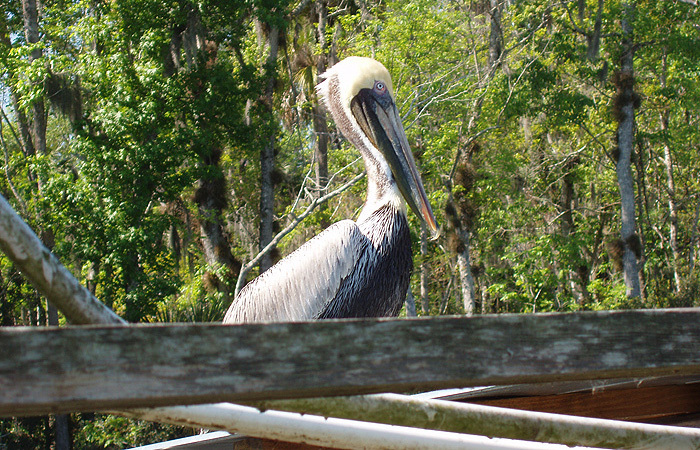 Driving through the Ocala National Forest, I saw not one but three fish camp signs. South Moon Fish Camp looked to be the most promising (read: downmarket) so I headed there late on a hot afternoon just as the sun was throwing a wash of gold over the St. John’s River. For those who aren’t familiar with fish camps, they are generally places where you can rent a no-frills accommodation and a boat and have access to cleaning and gutting facilities. 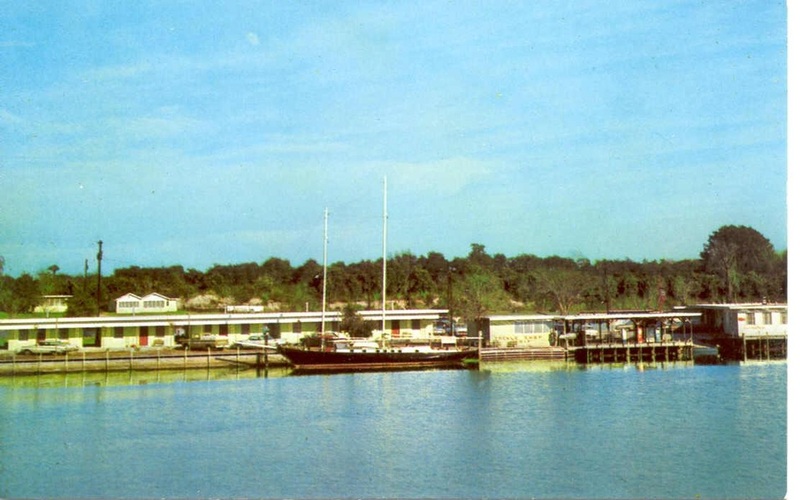 Occasionally they are a bit more upscale and developed, like Parramore’s Fantastic Fish Camp & Family Resort just downwind of South Moon. There wasn’t anyone around South Moon as we got out of the car and walked to the dock. I admired a pontoon boat and decided to rent it one day soon; I figure that just as I started “hiking” on concrete parking lots I can start “kayaking” by gliding down the river in a boat that holds 12 but will here transport two. 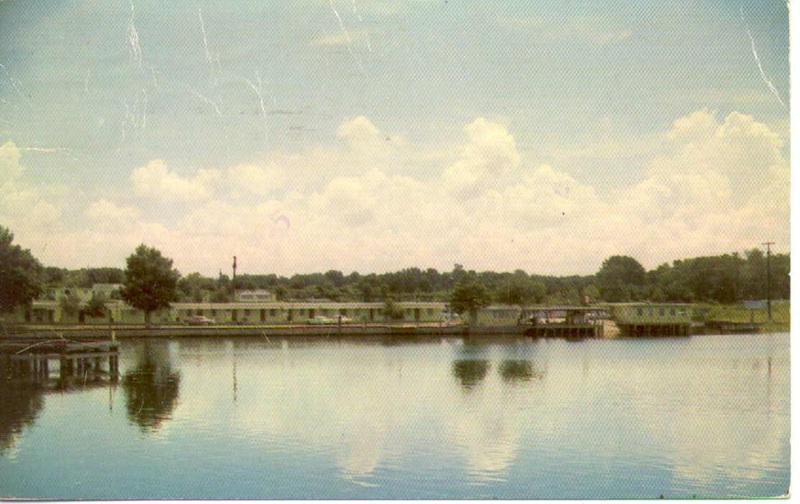 If we discount my trio of rides on the glass-bottomed boats at Silver Springs, the last time I had been on the water was back in 1991, when my friend Big Pink and I took a turn or two around the Lafayette Reservoir in Lafayette, CA on a two-person paddle boat. I don’t know what it is about Florida that has me reverting to baby steps. Perhaps it is greater awareness of the environment and perhaps it is something else more deeply seated that is in reality very obvious. Despite going into my second year here, it is all still strange and unfamiliar, so I am discovering things with a child’s sense of wonder but without a child’s openness to experience. This has created a lot of stress, if the truth be known. Given a slightly different set of circumstances, I’d probably be living in a condo in Sarasota and working in a retail boutique, selling designer handbags that claim to be leather but are really vinyl-coated canvas. And my feet would hurt and I’d hate it and I’d never be up enough on fashion to persuade anyone to spend ten thousand dollars on a purse. I was this person a couple of decades ago and my feet still have not returned to normal size and neither has any ability to persuade people to do what they really don’t want to do in the first place. 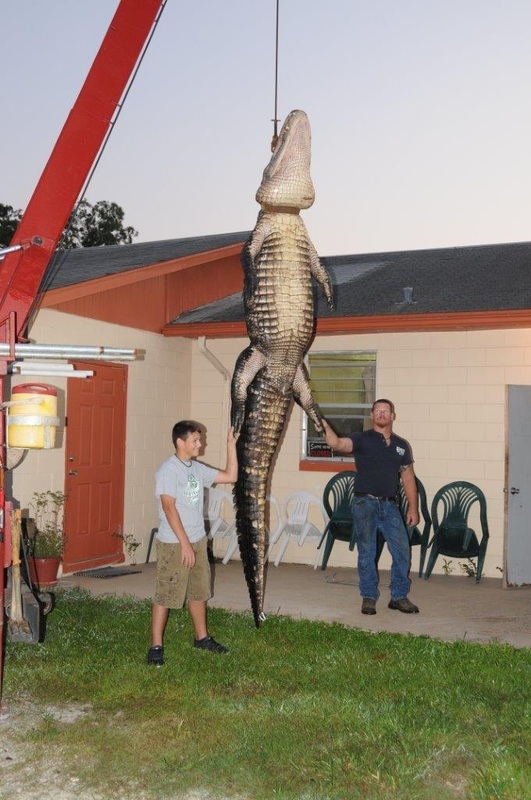 I stood on the dock at South Moon and asked my usual rhetorical question about alligators. Mullet flashed out of the water and something else briefly made a disturbance and then disappeared below the surface. I was secretly hoping to run into a grizzled local with beery breath and a big story of the one that got away, but no one materialized. The camp appeared to have a decent number of boats to rent and I made Mr. B. promise that when we rent a boat, I get to back it out of the dock. Note: I am unable to find the Web site for the camp, although one of the boats did have a URL printed on its side. We took a drive around Passamore’s, finding much to like in a couple of the riverside cabins, so they get the link and South Moon does not. Also in the area is the Jungle Den (we didn’t visit). Jungle Den has a motel and it formerly had a restaurant. The link for the restaurant advises that the restaurant is temporarily closed, but that there are many fine restraints (sic) in the area that one might alternatively enjoy. Where is that adult toy shop, anyway? The Saul Family have provided Fish and Crab for this community for years. There story soon to follow. 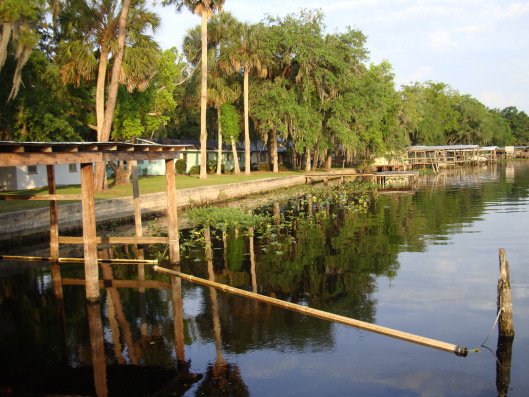 Enjoy camping in one of our shady camp sites located on the beautiful St. John's River which features some of the best bass fishing in Lake County, Florida and the World, earning it the title as the Bass Capital of the World. 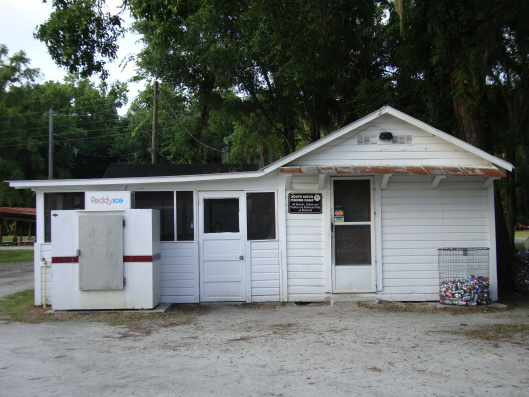 Located in the wonderful river community of Astor, Florida. Full hook-ups for recreational vehicles or pitch a tent! 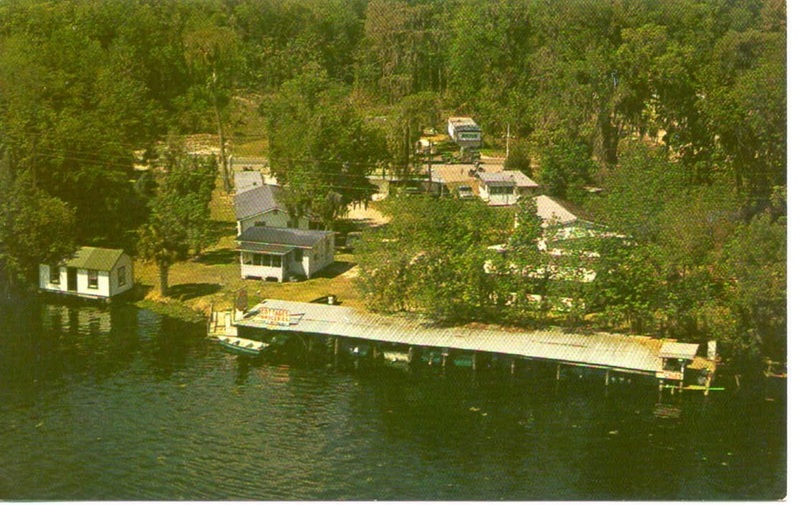 Our campground has daily, weekly or monthly rates available. There is a Recreation Room with Games, A Laundromat & Clean Showers. Just Minutes Away from Boating, Shopping, Dining & the Ocean! 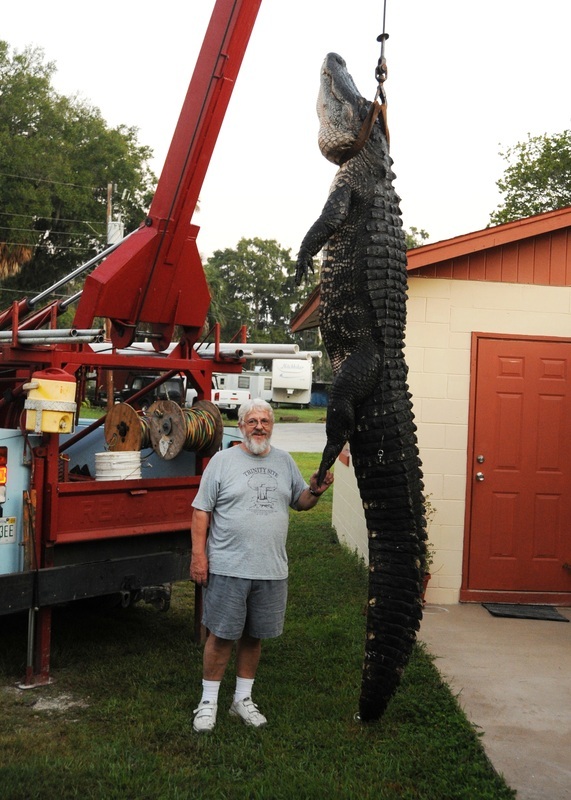 Specializes in live and artificial bait. Has soda, ice, snacks, and all of your fishing needs. 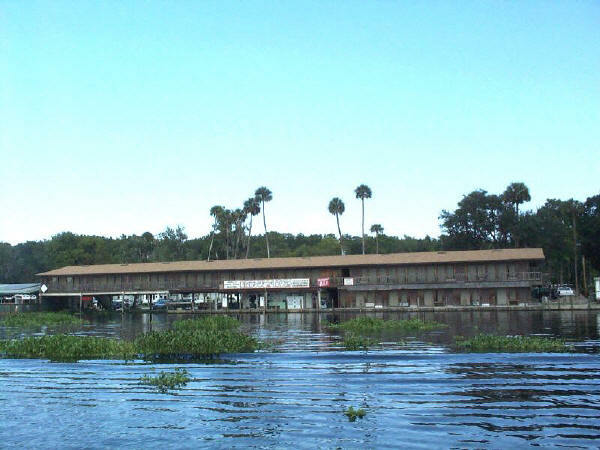 Parramore's is located in Volusia County, Florida on the picturesque "St. Johns River", which slowly flows North through Astor towards Jacksonville, and then out to the Atlantic Ocean. We are just off Highway 40 approximately halfway between Ocala, Fl. 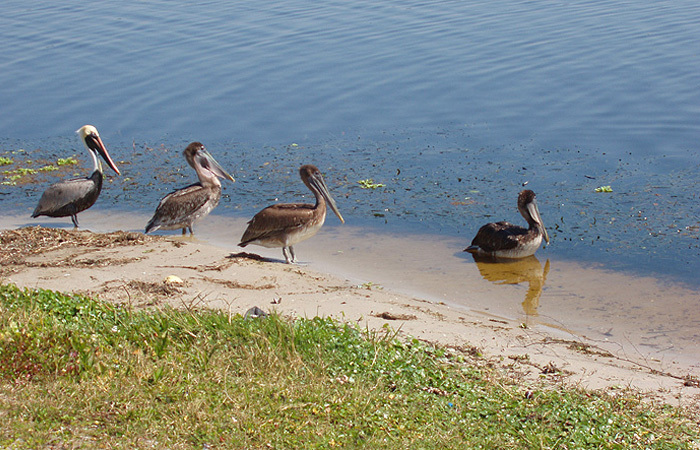 and Ormond Beach, Fl. 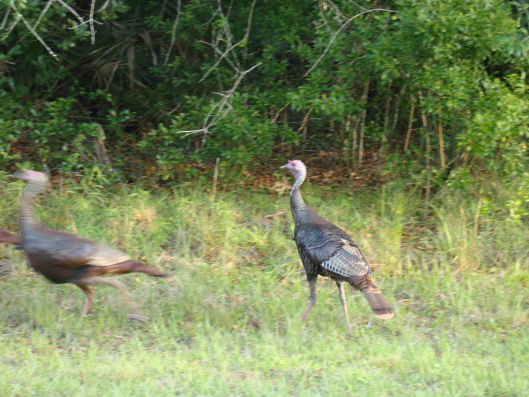 Nestled at the edge of the Ocala National Forest, Parramore's is a nature lovers paradise. 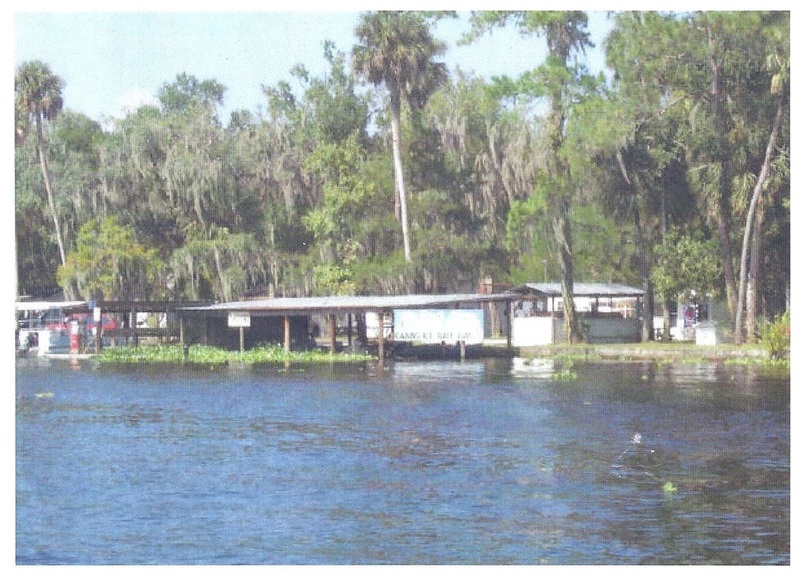 Visit Disney, Daytona Beach, Silver Springs, and return to Parramore's to relax and enjoy the real Florida in St. Johns River Country.. At Parramore's you can just disappear and relax in the shade under one of the oaks or for the more active, enjoy world-class bass fishing as well as brim and catfish. 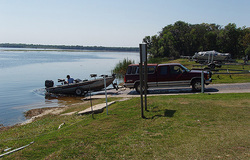 Bring your boat and put in at our boat ramp on premise. 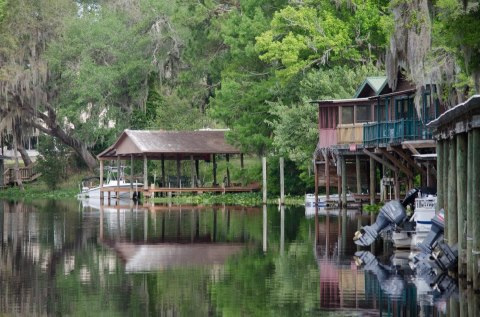 Enjoy a boat ride to Silver Glen Springs or Salt Springs. A Pet Friendly Camping and Recreation area. Restaurant is no exception.